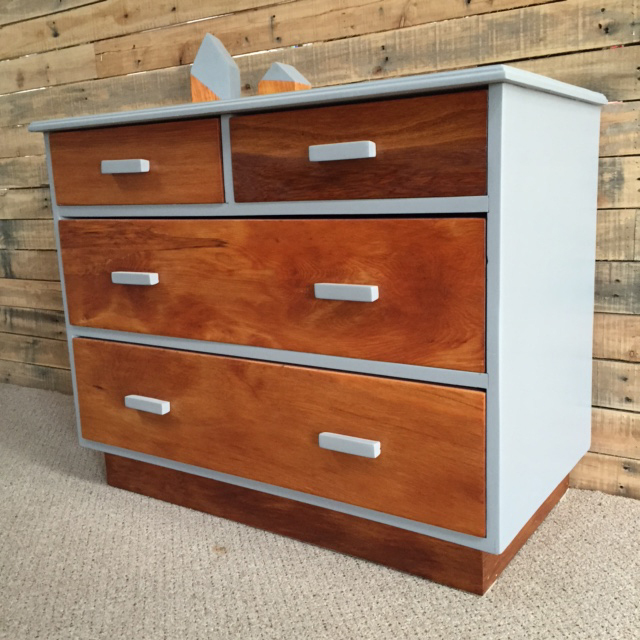 Unique designer Rimu drawers with a twist. 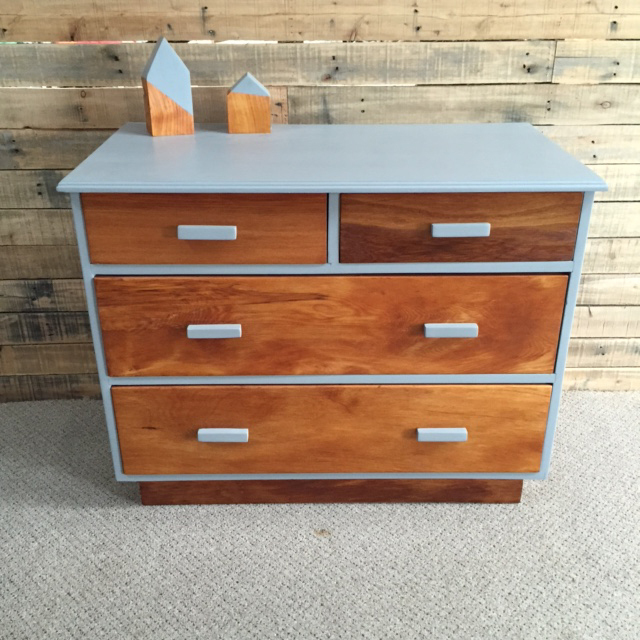 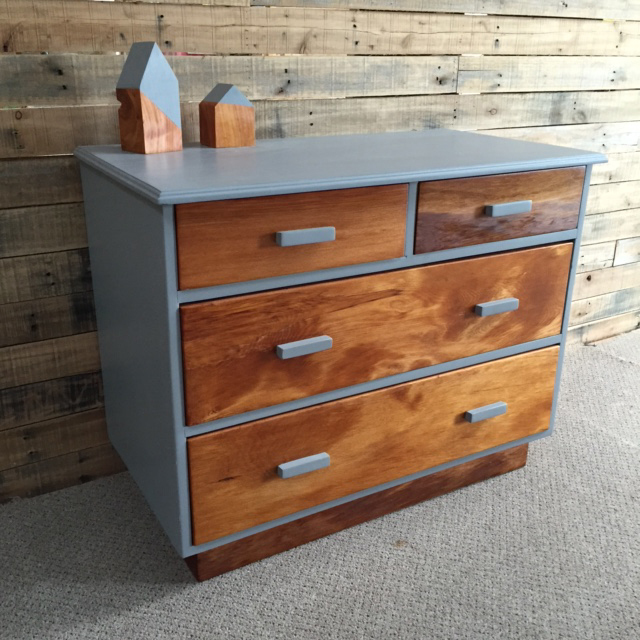 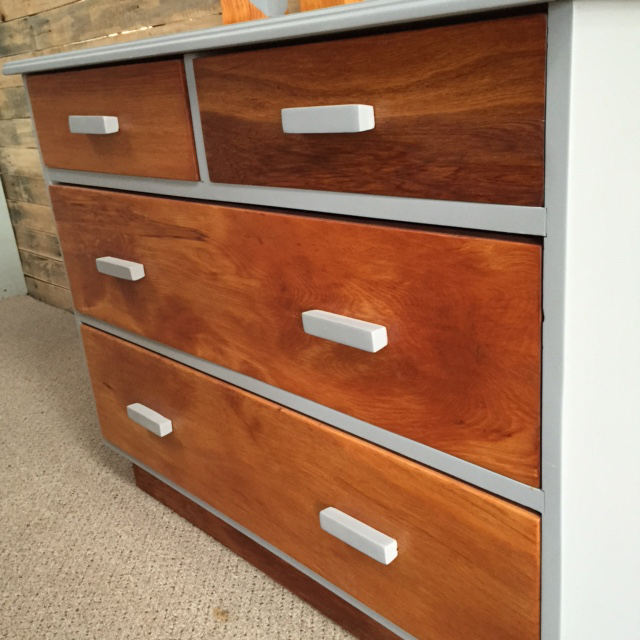 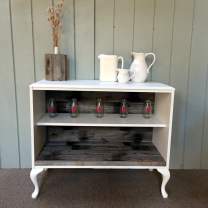 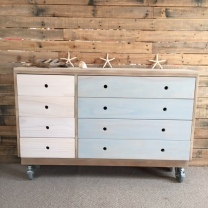 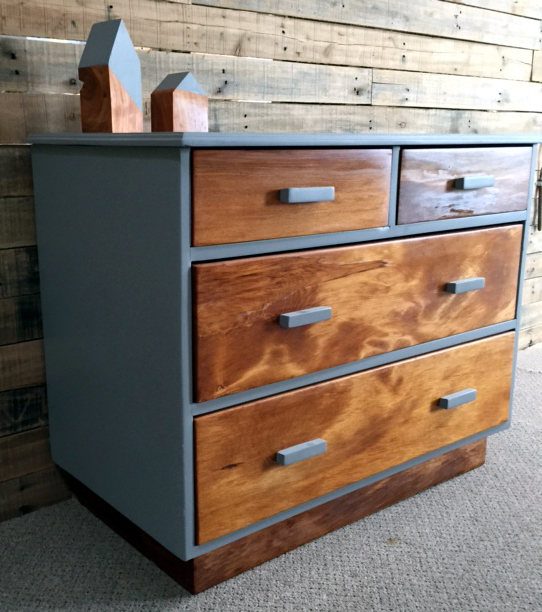 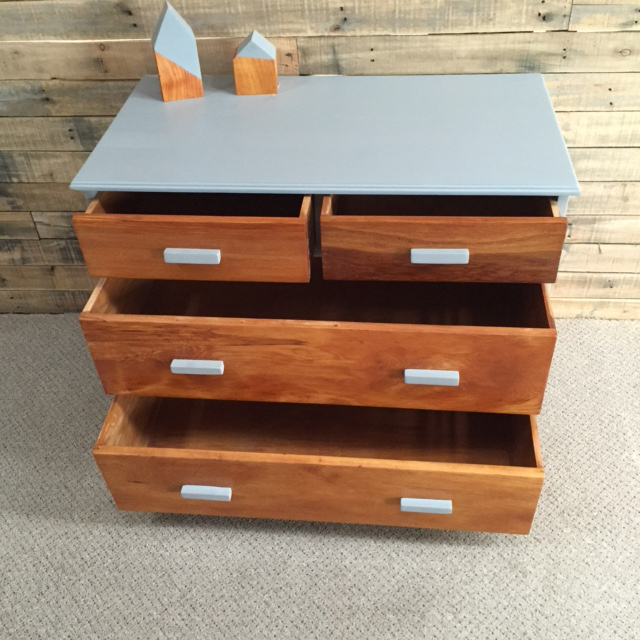 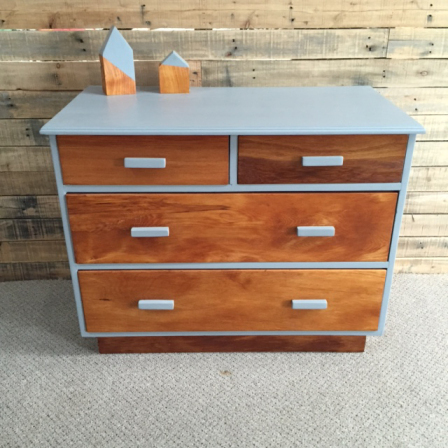 These drawers feature solid dovetail Rimu drawers with a lovely painted grey body and matching drawer handles. 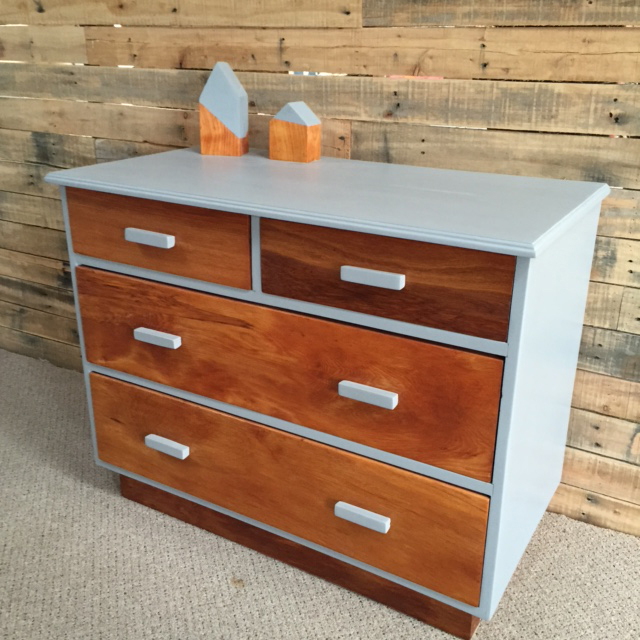 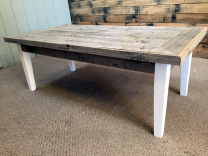 Props are included with these drawers.